Looking to start your camping adventure but do not have or want a large diesel truck to tow your trailer? Then you need to come to your local Airstream dealer in Wisconsin and see one of the many new and used Airstream trailers for sale. Ewald’s Airstream of Wisconsin is known for having a large and diverse inventory of new and used travel trailers for sale. 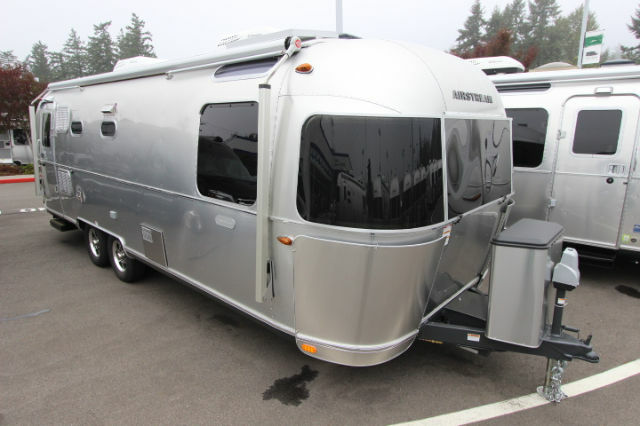 When it comes to Airstream trailers for sale, there is one that fits everyone wants and needs. 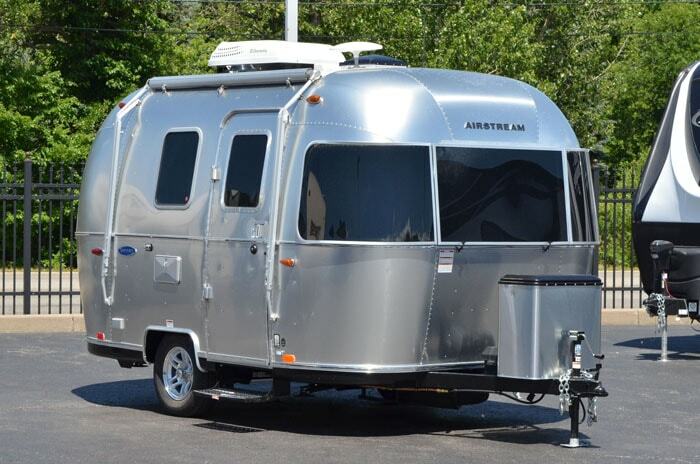 Whether you are looking for an easy to pack and go trailer or a travel trailer that you can live in, Airstream has a trailer for every occasion. Seeking to become a weekend warrior? Come and see the impressive Airstream Sport for sale. This Airstream trailer is the perfect size for a couple or a small family to take on a cross-country adventure. With its fluid design and high-end features, you will feel like you are staying, in a five-star hotel and not in a travel trailer. The Airstream Sport can be as short as 16’4, ” and as long as 22’ and a net carrying capacity of roughly 700 LBS, this Airstream travel trailer can fit in those tiny spaces that other bigger bulkier 5th Wheel trailers would not. The Sport sleeps up to four people comfortably and comes with a full kitchen and wet bathroom and comes with a 23-gallon fresh water tank. Though the Sport seems small on the outside, with a clean and simple design as well as many storage spaces you will feel right at home in this Airstream Trailer. If an Airstream Sport is not what you are after come and see the luxury filled Airstream Land Yacht for sale in Franklin, WI. The Land Yacht is one of Airstream's most luxurious trailers and brings the best of both land and sea. The Airstream Land Yacht will let you float away into a warm and sunny paradise and with light and bright features you will never want to leave your Airstream trailer. The Airstream Land Yacht features a full bathroom where light fixtures and warm woods flood you with the feeling of peace and serenity. Whether you are looking to become a weekend warrior or are ready to take your life on the road, your next Airstream trailer is ready to follow wherever you lead. Come to your local Airstream dealer in Franklin, Wisconsin and see one of the many Airstream trailers for sale including the Airstream Sport and the Airstream Land Yacht. Ewald’s Airstream of Wisconsin is located at 6319 S 108th St in Franklin, Wisconsin 53132.